In and out of the courtroom, Diana L. Skaggs is on the forefront of new developments in the practice of family law and is recognized for her innovation in the field as well as her continued dedication to families, children and public service. She received the Louisville Bar Association’s 2006 Revell Family Law Award in honor of these commitments. Past President of the Kentucky Chapter of the American Academy of Matrimonial Attorneys, where she also served on the national Board of Governors, Skaggs takes an active role in professional organizations and frequently teaches other family law attorneys and judges at continuing legal education courses. She is A.V. rated by Martindale-Hubbell, listed in Best Lawyers in America in the field of family law (Copyright 2014 Woodward/White,Inc. of Aiken S.C.) and selected for inclusion in 2007 through 2014 Super Lawyers as being among the top 5% of family lawyers and one of the top 25 women lawyers in Kentucky across all fields of practice. The Kentucky Chapter of the American Academy of Matrimonial Lawyers honored her with its 2010 “Raising the Bar Award.” Her most recent honor was being elected a Diplomate of The American College of Family Trial Lawyers, a national organization limited to 100 divorce litigators. 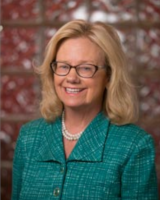 Skaggs, who received her Juris Doctor degree from the Louis D. Brandeis School of Law at the University of Louisville in 1982, maintains professional memberships and has held offices in several regional and national organizations. She formed Diana L. Skaggs + Associates in 1999, although she has devoted her practice to family law for more than twenty-five years. In 2014, the firm name was changed to Diana L. Skaggs + Partners PLLC and Michelle Eisenmenger Mapes became a partner. Though the firm focuses on all aspects of divorce and family law, Skaggs concentrates her practice in complex financial divorce, including business valuation, trusts, tax, tracing of non-marital funds and integrated solutions for wealth management and preservation. “While most matters are settled privately, my extensive trial experience and our staffing allow us to handle complex litigation where necessary or appropriate,” says Skaggs. When it’s time to talk, rely on Diana L. Skaggs + Partners, PLLC. Our firm is committed to assisting clients with divorce law and family law matters. We know your family is the most important part of your life, and you want only qualified advocates to assist you during times of difficulty. These personal matters can be emotionally trying for all parties involved, and we’re here to help guide and counsel you through the legal process to find the best possible solution for you and your family.